Looking for some easy pasta recipes? 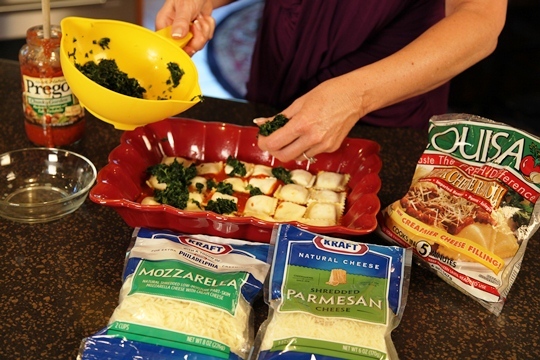 Get set for the ultimate comfort food with this baked ravioli casserole! Easy pasta recipes are great for family dinners and easy entertaining. 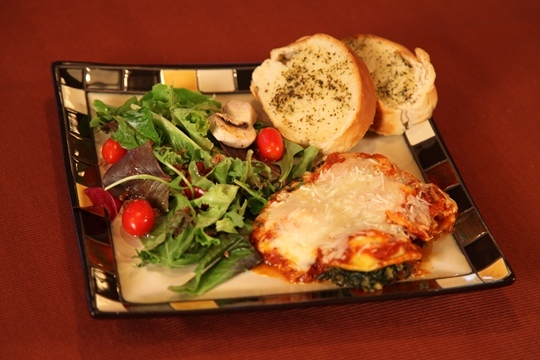 Layers of frozen ravioli make this lasagna-style recipe easy and delicious. You can assemble this in less than 5 minutes and it takes about 30 minutes to bake. This recipe meets all of the Make Life Special requirements — it is quick to make, it has only a few ingredients that are readily available, and it is yummy! Casseroles are typically made with meat,vegetables, cheese and a sauce. 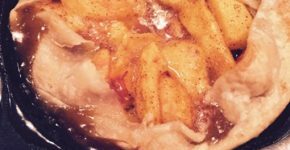 This casserole can be made without meat – as I have done here using the cheese ravioli; or you can substitute beef filled frozen ravioli if you prefer to add the meat. 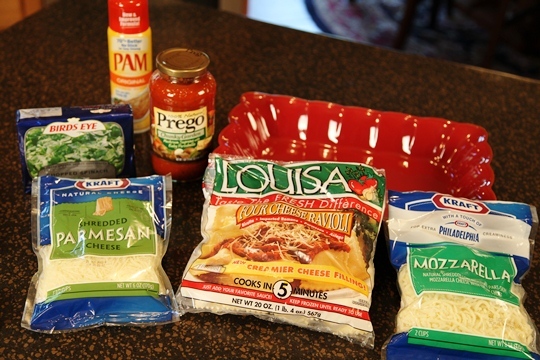 I love this recipe because you can make it ahead of time and either freeze or refrigerate the ravioli casserole until you are ready to bake it. Don’t omit the spinach…trust me on this one. It really adds great flavor to this dish and it’s a great way to get your family to eat vegetables. Remember…Let’s make life special by sharing great food with our family and friends! Enjoy! Preheat oven to 350 degrees. Coat a 9 X 13 baking dish with cooking spray and spoon 1/3 of the sauce in the dish. 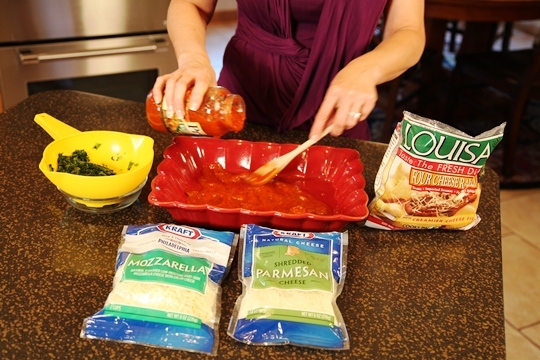 Arrange a layer of frozen ravioli on top of the sauce. Squeeze the liquid out of the thawed spinach. 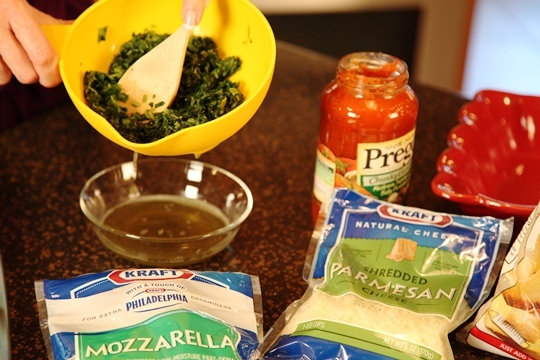 Scatter all of the spinach over the ravioli layer. Top with half of each cheese. 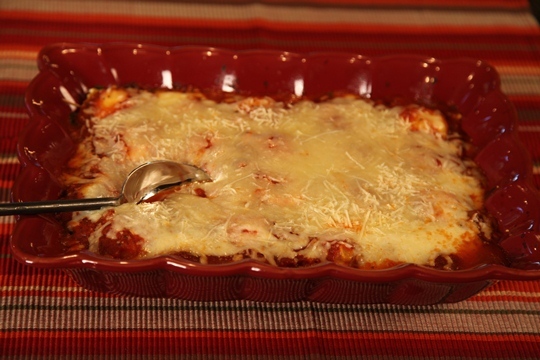 Cover with another layer of ravioli and the remaining sauce and cheese. Cover with aluminum foil and bake 25 minutes. Uncover and bake 5 to 10 minutes more or until bubbly. Just add a salad and some garlic bread and you have a great family meal! Coat a 9 X 13 baking dish with cooking spray and spoon ⅓ of the sauce in the dish. 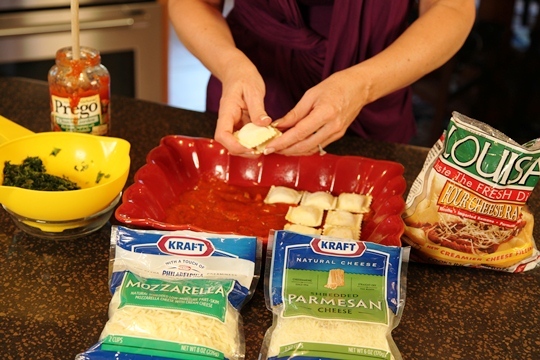 Arrange a layer of frozen ravioli on top of the sauce. Cover with another layer if ravioli and the remaining sauce and cheese. 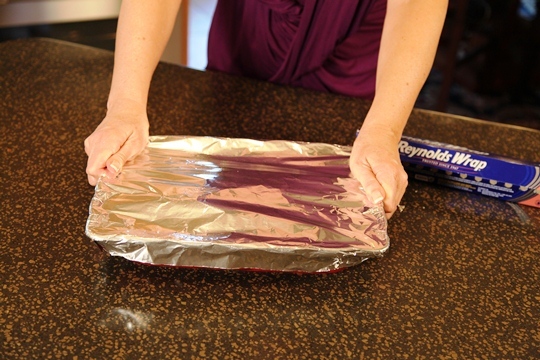 Cover with aluminum foil and bake 25 minutes. 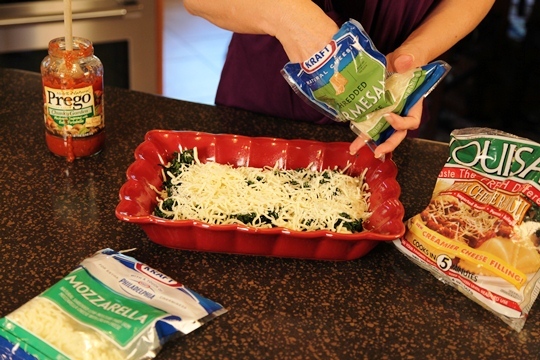 Baked Ravioli Casserole will become one of your family’s favorite pasta recipes! 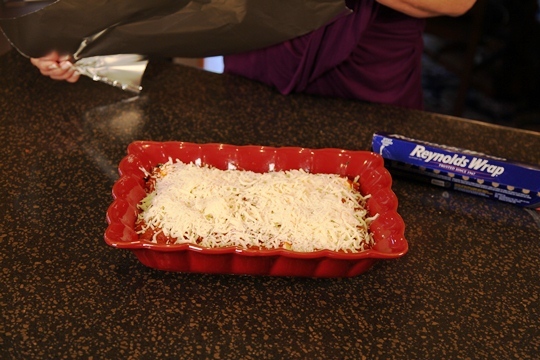 Need a new Pyrex baking dish for this recipe? Check out this special for Make Life Special readers for only $ 12.95! This looks really good.. My husband just went grocery shopping and I added this to the list!! You can have this in the oven in 5 minutes! Glad you liked it! Mmmmm.. All sorts of different filled ravioli and sauces to mix-match to make this a truly versatile dish – can’t wait to try it out!! You are right! This recipe is really versatile and everyone LOVES it! This will feed 6 people easily. Hope you enjoy it! I can’t eat spinach, unfortunately. Wonder how it would taste without it…. It would still taste good without the spinach. Can I use fresh ravioli instead of frozen? Our favorite ravioli is the ones at Costco. We don’t like frozen ravioli. Hi Kim. Yes, the fresh ravioli will work just as well. I would reduce the baking time by about 10 minutes since the ravioli is fresh and not frozen. It will be wonderful! I’ve made this several times. It is really yummy & easy too! Can I use frozen beef ravioli??? 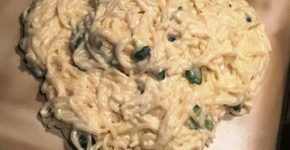 How long would you cook this for if I froze the entire Casserole? I don’t want to over do the ravioli! We have a large party where we will be making 3 large pans. Can you make it ahead of time and put it in the refrigerator to cook the next day? We are worried that when the ravioli defrosts in the fridge it will become watery! This recipe can definitely be made ahead of time. It is easy and delicious! Enjoy!